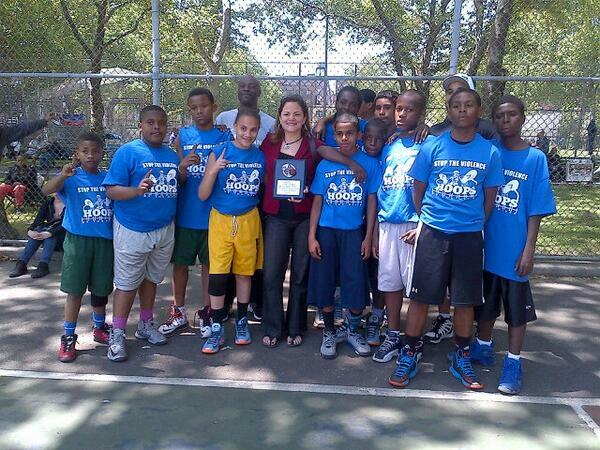 On Monday, May 27th , Melissa co-sponsored Hoops by the River’s annual ‘Stop the Violence Basketball Tournament‘ which was attended by over 300 youth in East Harlem’s Jefferson Park. 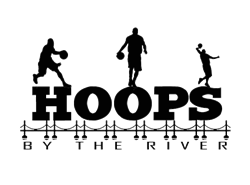 Melissa has been a very strong supporter of the Hoops by the River (HBTR) basketball league, which provides hundreds of children and teenagers with quality and competitive sports programming, serving as a tool for youth development to combat violence and obesity in the community. League Director Will Kelly presented an award to Melissa for her continuous support. Melissa recently allocated $300,000 to renovate the Jefferson basketball courts, after the proposal won over 500 community votes as part of our district’s Participatory Budgeting (PB) process. This was largely due to the participation, hard work and advocacy of HBTR director Will Kelly and his son, Will Kelly II, in the PB process. The upgraded courts will provide East Harlem’s young athletes with a safe and attractive space to compete year round. This entry was posted in Blog, East Harlem, Events and tagged Active, Basketball, Basketball court, HBTR, Hoops by the River, Jefferson basketball courts, Participatory Budget, PB, Sports, Stop the Violence Basketball Tournament, teenagers, youth, Youth and High School. Bookmark the permalink.